Continuing to expand, the railroad operated nearly 6,000 miles of track by 1917. 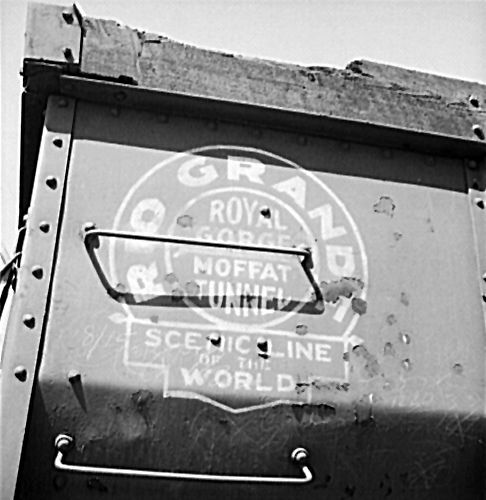 Its name was officially changed to the Denver and Rio Grande Western Railroad in 1920, serving primarily Colorado and Utah. Over the years, the railroad built some of the most difficult tracks in existence including the highest mainline railroad in the United States (over 10,000 feet) at Tennessee Pass in Colorado, as well as the famed routes through the Moffat Tunnel and the Royal Gorge. 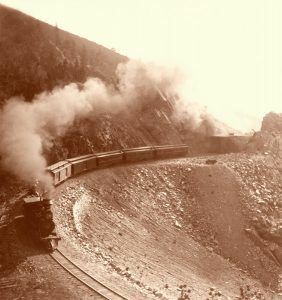 Denver & Rio Grande Railroad through Marshal Pass, Colorado, 1898. Rio Grande Industries purchased the Southern Pacific Railroad in September 1988. The Southern Pacific was merged into the Union Pacific Railroad in September 1996. The Cumbres & Toltec Scenic Railroad is a remnant of the San Juan Line that operates scenic trips over this route between Antonito, Colorado and Chama, New Mexico. 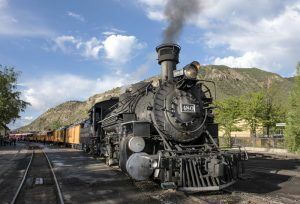 The Durango and Silverton Narrow Gauge Railroad, which has been operating since 1881, provides scenic day trips from Durango to Silverton. The Heber Valley Historic Railroad provides scenic trips through the upper portion of Provo Canyon, Utah. The track was a branch of the D&RG main at Provo, but is today isolated from the national rail network. The Rio Grande Scenic Railroad is a heritage train on a still active branch of the former D&RG. The Royal Gorge Route Railroad operates over a 12-mile portion of the intact, but otherwise disused Royal Gorge/Tennessee Pass line. The Durango & Silverton Narrow Gauge Railroad is powered up and ready to leave the Durango, Colorado, station. Photo by Carol Highsmith.